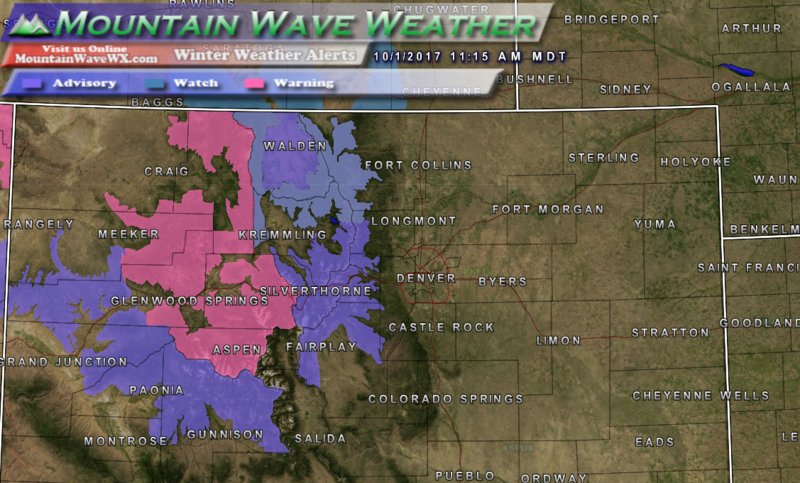 Winter Storm watches, warnings and advisories are now in place for many areas West of Denver along the mountains. A strong storm system is expected to move through later on Sunday, bringing high winds, cold temperatures and decent snowfall for many mountain areas. 8-16 inches of snow possible, high winds, low visibility and treacherous travel conditions. Some areas may see close to 20 inches of snow. 5-10 inches of snow possible, high winds, low visibility and difficult travel condtions. many mountain roads during the periods of heavier snowfall. colder temperatures and accumulating snow. Be prepared if you are traveling through the mountains later today and into Monday. Stay tuned, we will have an updates as needed!